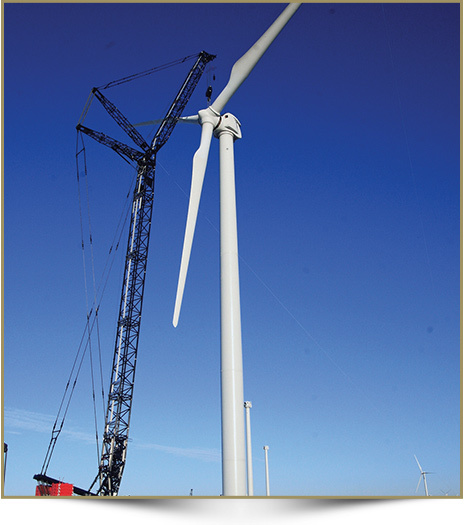 A Link-Belt 548 HSL was used to hoist windmill blades during maintenance operations at a Midwest windmill farm. Rotors weighing up to 155,000 pounds were hoisted 270 feet into position. The crane was configured with 196 feet of main boom and 118 feet of luffing jib, in addition to its 535,000 pounds of counterweight. Forty trucks are required to transport the complete Link-Belt 548 HSL with the Super Lifter.